Roll Off 30 yd. 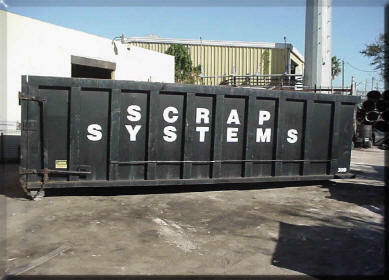 - Scrap Systems, Inc.
30 yard Roll Off Containers – Our most popular container. Auto body shops love this system for scrap tin & sheet. Excellent for All Types of aluminum and stainless steel scrap as well as borings and turnings. An ideal size container for general purposes and special clean up projects. Our Professional Service is rated number 1 in customer service in the Central Florida area.